Have you ever planned a vacation, going over books and maps to get ready for your trip? And then once there, you were able to enjoy your journey because you knew what to look for and how to find it? Well let’s do that today, so you will understand why you would want to join us on this journey of Discovery in the Book of James. Truth is Revealed By the Holy Spirit! Just as the Lord opened the minds of the 2 on the road to Emmaus to understand the Scriptures, He will open ours, (Luke 24:44-47). So, when you and I come to the Word of God, always go to the Lord in prayer asking for His wisdom and help. O LORD, thank you for this time You have given us to open up Your Word to discover Truth! Open up our hearts. As You teach us why James wrote this letter, open our eyes to see, and grant us the understanding we need. Thank you so much. The Bible is a collection of 66 books written by different authors under the inspiration of the Holy Spirit, each with a divine motive. Your Hardbound Bible has the purpose and message in the front of each Book of the Bible. The GODcha Bible Guide has been designed for anyone, anytime, anywhere. Providing a short Summary of the Purpose of any Book you want to look at. A Detailed OVERVIEW is there too! 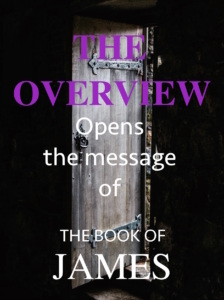 The Overview is the Blueprint of the Book to understand the author’s message! Sometimes authors state their purposes. And when they don’t you can extract it from the content of the book. 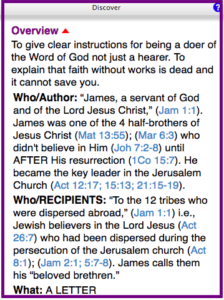 Go to the Book of James. Find the Overview in the Top Right Hand Screen. The Detailed Overview will open for you. What do you discover about him? Who became the key leader of the church in Jerusalem. His Jewish brethren who had been dispersed. Faith without works is dead, useless. Who had strayed from the Truth, and save their soul from death. We have just surveyed the purpose of this book. TIP: Everything written in this letter will point back to the purpose. 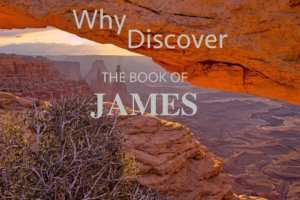 We now have a Snapshot of the Book of James, catching a glimpse of James and his heart! Understand what true faith is and how to live it? 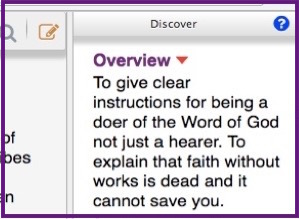 Understand what a doer of the Word is? Understand what dead faith is? Know if you have strayed from the Truth and save your soul? Hear and see what the Lord wants to teach you? Hang on, as we are going to LOOK at 5 incredible chapters that are bursting with so much practical, life changing Truth, you will be blessed beyond measure! But be aware, Satan may turn up the heat, bringing every obstacle to cause you to quit this discovery. Don’t do it! As we embark on this journey together, we will learn together, and grow and mature together. You are on the verge of a wonderful discovery! OH HEAVENLY FATHER, I am so excited about what You are going to teach us. May we recognize the schemes of the enemy to keep us away from You and Your Living Word, knowing he will do anything to pull us away from You. Oh Father, we know to have a right relationship with You is all that matters in this life. May we have a true faith and not a dead faith! Change our hearts to love Your Word and to want to know Your Truths! Wean us away from being dependent upon man, and to lean upon You in this discovery. Help us be disciplined daily to meet with You to guide us into Truth. 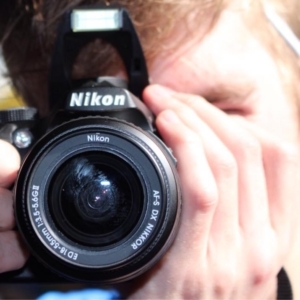 Show us how to be doers of Your Word! And if we have strayed from Your Truth, may we turn back Lord, save our soul from death. We come to You ever so grateful. Thank you Lord! We ask these things in Jesus name. Amen. Thank you for joining us on this exciting trip! There is no fee, nor hidden fees for companions, leave your excess baggage at home, and bring your one essential carry on, the Word of God using the GODcha Bible Guide. Next: Get to know James by LOOKING @ Jam 1:1. This is great! Having had a very busy week — this is my first opportunity to check out the Blog on James. I am excited to go forward following along at my own pace and allowing the Word of God to speak to me in these very busy days. Also love the Godcha! I’m thankful I can jump in now- although it’s January 2018! Thank you dearest Nancy, We at You Discover Truth are thrilled and thankful that you are jumping in! That is the beauty of this blog! In fact the beauty of the GODcha Bible Guide, any time, any where and any device sweet Nancy. Praying you will be richly blessed as you engage with God and discover the Truths of James!